There are some themes and models that go together like nothing else. City and Police Stations, Classic Space and spaceships, Modulars and awesomeness (sorry, couldn’t resist) and, Technic and motorbikes. There’s been a few Technic bikes over the years, 27 to be specific. They date back from 1979, and include all varieties and difficulties. Sidecars, trikes, cruisers, dirt bikes, a stunt bike, street bikes, and now there’s this one – the adventure tourer. This one is unique – it’s the first to be based of an actual motorcycle. There’s a blue one, and they also come with the two panniers and central box at the top. All in all, the BMW R 1200 GS Adventure is a big looking bike. 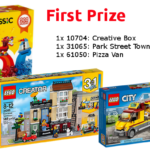 Inside the LEGO box (not the bike’s ones) are six un-numbered parts bags, a sticker sheet with 12 stickers, two rims, two tyres, and two instruction booklets. One is for the bike, and one for the B-model hoverbike. This set introduces three new elements to the range. They’ve been moulds for a while, but it’s the first time in a new colour. There’s the rims in black, and the angular panels – one is found as the windshield, and two in medium stone grey on either side of the body of the bike. There’s a few other Technic elements that were introduced this year, including the white three-pin beam with the 40th Anniversary of Technic printing. Other parts of note are the beautiful knobbly tyres, last seen in 42007: Moto Cross Bike from 2013, a couple of shock absorbers, lots of different shaped panels, some ball joint beams, and plenty of the usual inclusions. One omission that was a bit of a shock until I read more about the actual bike is the lack of a chain. The real bike doesn’t have a chain-driven rear wheel, but a shaft driven one, so no chain is included. 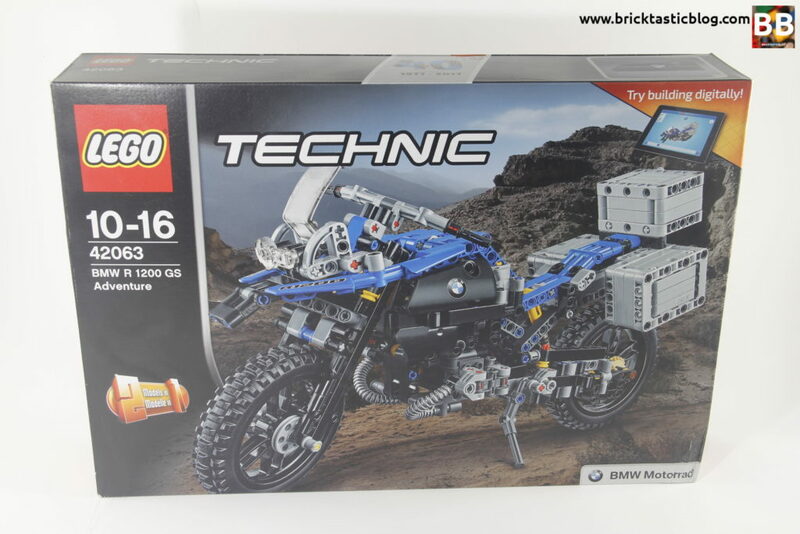 It’s a bit of a shame – I was looking forward to having a chain in the collection, but I’ll just have to get another Technic bike to satisfy that need. This bike is fun to drive around, but it’s a one-trick pony. It rolls well, has decent steering, and it’s fun to see the pistons move and bounce the suspension. Sure, it’s probably now what people buy it for – rather to have it displayed on a shelf, but it’s still possible. I always find Technic builds really enjoyable. It’s exciting to me to see how the parts come together, and what interacts with what to create movement and action. The first stage in this build is the engine and drive shaft, as a base for the build. Next up, the basic frame is connected, with the front fork suspension, followed by the seat and rear suspension. More body parts are added, including the tail and rear tyre, as well as top of the fuel tanks, followed by the front forks. I really liked seeing how the front forks came together. 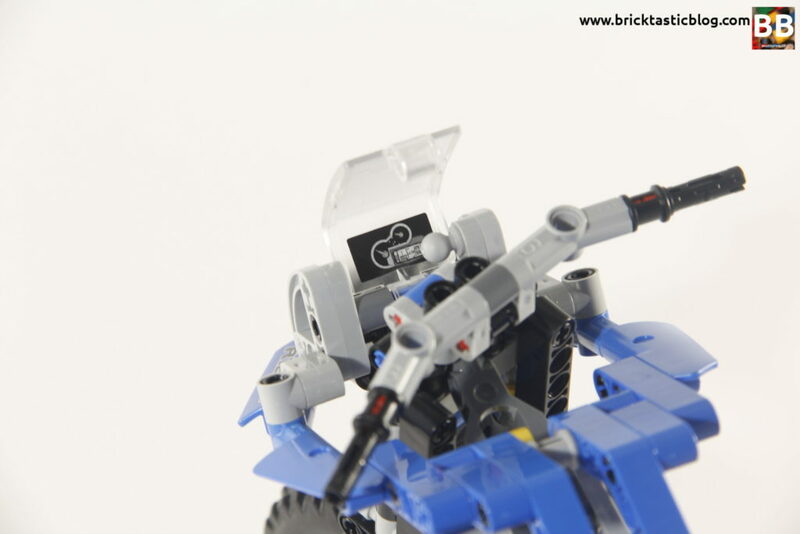 They’re not a design that I’d seen in a Technic bike before, and the ball-and-cup mechanism was really clever. The last things to be added are the front detailing, fuel tank sides, and panniers to round it out. There’s some great techniques included in this build, and lots of new ways to create incredible designs that I’d not seen before. All in all, a very enjoyable build. I like the look of this bike overall, but there’s a few little niggly things that I’m not overly excited about. I can get over the no seat thing. It’s Technic, what are they supposed to do, but the handlebars just look a little flimsy. There’s a bit of a wiggle in them as well. It’s very strange to turn the handlebars and the front end frame not move at all. I was expecting the windscreen and front fender to move. I do like the dashboard sticker on the windshield though – that’s a nice little detail. I love the fact that the panniers can open. That’s a really clever little addition, and the engine section looks great, especially with the hoses coming out. The top of the bike’s fuel tank is very flat, but it is similar to the real thing. I love the blue – I’m very glad they didn’t go with the grey option! Google the bike and all you’ll get are grey versions. 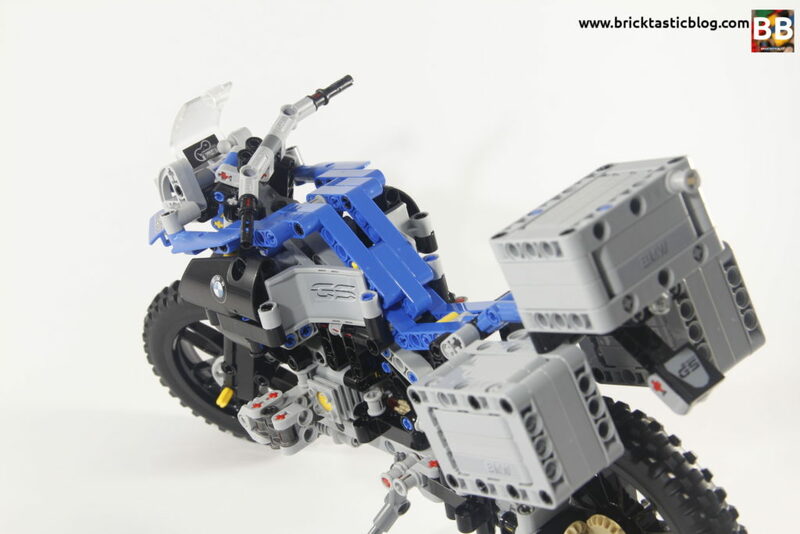 Overall, I think bike fans will get a kick out of it, but I’ve seen bikes from Technic that were much more finished. At around 14 cents per element, the price of this set is quite reasonable. 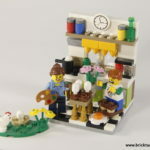 The set is still available from LEGO Shop at Home, so snap one up while you can. It’s hard to say whether this one will go up or down. I’ve got the feeling it will stay where it is for a while, then rise a little. 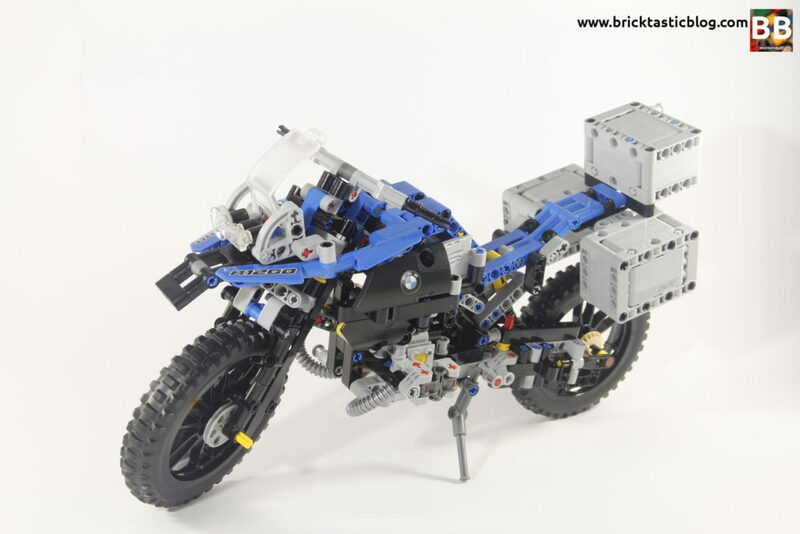 Being a Technic bike, and a unique one at that, it has the potential to fetch a bit more of a higher price after retirement. BMW fans will also get a kick out of it. This set is quite unique as there’s a futuristic aspect to it, with the B-model Hoverbike. I posted about this a while ago. It was a bit of a strange press release, considering that the secret was definitely out, but it might bring the collectibility factor up a notch for a few people. 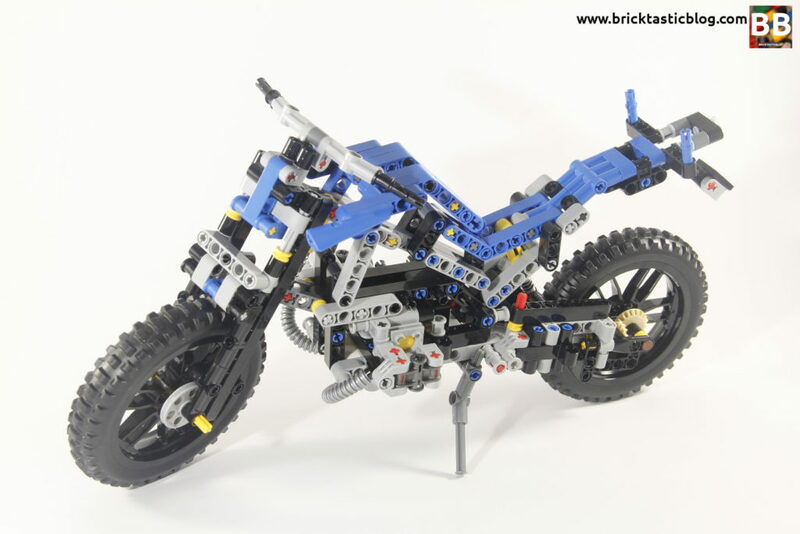 It’s the first time a motorbike manufacturer has co-developed a LEGO Technic set, too. There’s a few nice parts inclusions, so I think this set is quite decent collectibility-wise. Next week, I’ll be delving into a set from The LEGO Batman Movie – 70904: Clayface Splat Attack. What did you think of the BMW R 1200 GS Adventure? 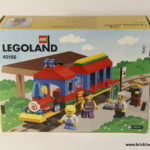 Do you have a copy of this set? Have you built the hoverbike? Let me know in the comments.